This week the European Tour tees up in South Korea at the JMP designed Blackstone Golf Club in Icheon, South Korea. This undulating tree lined track has received rave reviews since it open in 2009, in which it features exposed rock faces and plenty of water to catch those wayward shots. There are new tees on the 17th making the hole 40 yards longer. The forth hole is probably the most spectacular hole on the course with its panoramic views and dramatic drop from the tee down to the fairway. Tournament Director David Williams said: “On the fourth hole we now have the option of moving the tee forward and making it driveable. It’s a stunning hole and makes for very exciting golf”. “The whole course will provide a tough challenge for the field. It’s long, but it’s not all about power and long hitting; it’s a thinking player’s course. It’s also very scenic with fantastic views, creeks, lakes and forest glens”. “There are a couple of excellent par threes which are long and over water – the seventh and the 12th holes. It’s a young course as it only opened a couple of years ago and every year it will mature and get even better”. “It’s hilly so it will be physically demanding as well, and the greens are undulating and offer some testing pin positions”. It’s hard to ignore Adam Scott 8/1, he’s only been outside of the Top-20 once in his four starts and a Top-10 finish at the Masters sees the New Zealander placed as firm favourite with the bookies this week. Those of you who are regular readers of this guide will know that I have backed George Coetzee 28/1 several times and he has always come up trumps for us, except for the Malaysian Open when he decided to miss the cut. But he came back last week with a bang and again made the Top-5, his third so far this season. I am going to stick with Jbe Kruger 40/1 again this week, this will make it three weeks in a row but I really feel the South African will come good. 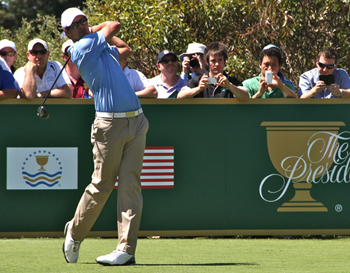 He sits at the top of the Asian tour after shedding his perennial bridesmaid tag when he won the 2012 Avantha Masters. In 2011 he enjoyed a great season with six Top-10 finishes and finished fourth on the Asian order of merit that year, his best since making his debut on the Asian Tour in 2009. In 2010 he finished second three times, so you can see why I feel he will take that next step very soon and especially on this leg of the tour. 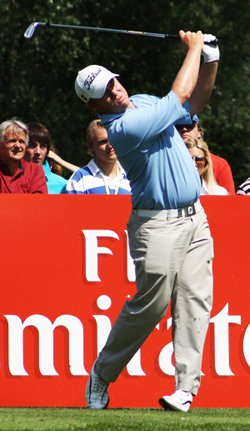 Marcus Fraser 40/1 was a winner of this championship back in 2010, but that was the last year it was played over the Pinx GC,Jeju. Marcus did finish 27th while defending his title and looks to be coming into form again with his sixth place finish in last weeks China Open to add to his other Top -10 finish at the Avantha Masters. It seemed like David Lipsky 55/1 came out of nowhere to finish third in last week’s China Open but the 2011 All-American who won twice in 2010, including the Big Ten Championship, also won the 2012 Asian Tour Qualifying School. His third outing on the tour saw him take the Handa Faldo Cambodian Classic title and he currently sits in second place on the Asian Order of Merit. 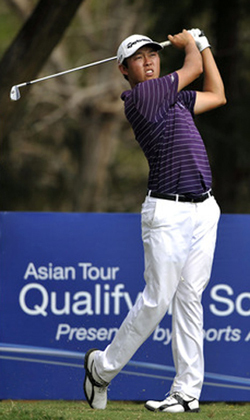 This week’s outside tip is Argentinean Ricardo Gonzalez 80/1 who had a great finish at last weeks China Open, but that wasn’t his first Top-10 of the year, he also finished fifth at the Commercialbank Qatar Masters and another Top-25 finish at the Maybank Malaysian Open. He finished last week’s China Open with rounds of 65, 67 so look for him to be coming into this week’s tournament full of beans.